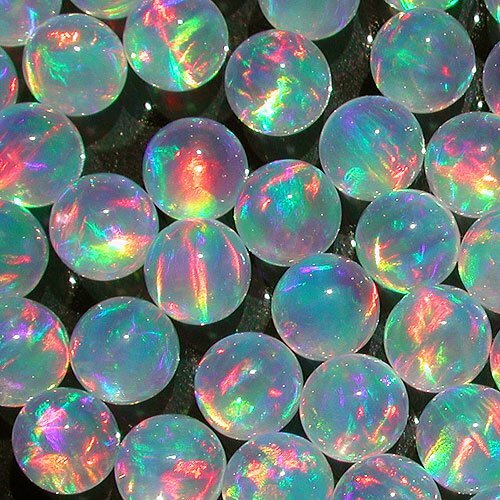 These sphere opals flash a true rainbow of of beautiful colors; blues, greens, reds, and purples! and are otherwise completely transparent. That is why some folks call them ghost opals - they disappear in clear boro and flash all that rainbow of fire. Its a really cool effect and great for putting the "fire" in the glass and less emphasis on the shape of the opal.